A yellow hexactinellid glass sponge atop a rocky outcrop on which stony coral Solenosmilia is growing, together with anemones and feather stars. Photo: NUI Galway/Marine Institute. Marine scientists from NUI Galway returned home from an expedition recently with some stunning footage of Irish deep-sea waters, as well as samples set to be part of pharmaceutical research. The expedition, part of a Science Foundation Ireland and Marine Institute funded project to derive novel pharmaceuticals from deep-water organisms, explored waters off the edge of Ireland’s continental shelf, approximately 100 kilometres west of Belmullet, with the aim of both exploiting and conserving Ireland’s deep-sea genetic resources. Diving with the deep-water remotely operated vehicle, ROV Holland I, onboard the Marine Institute’s RV Celtic Explorer research vessel, the scientists mapped the biodiversity of the sea floor and collected samples of sponges (simple sessile animals that grow upwards from the seafloor ) and octocorals (which lack the stony skeleton of tropical reef-building corals ), whose chemistry will be studied back in the university laboratories. These organisms produce chemicals as part of their defensive systems, to stop, for example, other sponges and corals growing on top of them, and such chemicals, with their unique structures, can be the source of new drugs. The chemicals extracted by NUI Galway chemists are to be tested against a range of disease screens in NUI Galway, University of South Florida (USF ) and with collaborators from around the world. The scientists are screening against various types of cancer, Huntington’s disease, Parkinson’s disease, epilepsy, and various pathogens such as Enterobacter bacteria species. Professor Louise Allcock from the Ryan Institute at NUI Galway and Chief scientist and Principal Investigator on the project emphasised the importance of Irish deep-sea fauna, stating: "We don’t need much material to work out the structure of a new compound, which can then be synthesized in the laboratory, but new diseases emerge every decade, and it’s really important to also conserve these unique habitats so that medicine can draw on them in the future. Our species distribution maps will help with that." Professor Bill Baker, a chemist on the project from USF, commented: "Naturally produced chemicals from marine organisms provide real opportunities for drug discovery. And the deep-sea, with its specially adapted fauna, is likely to yield a range of chemistry not known from shallow waters." 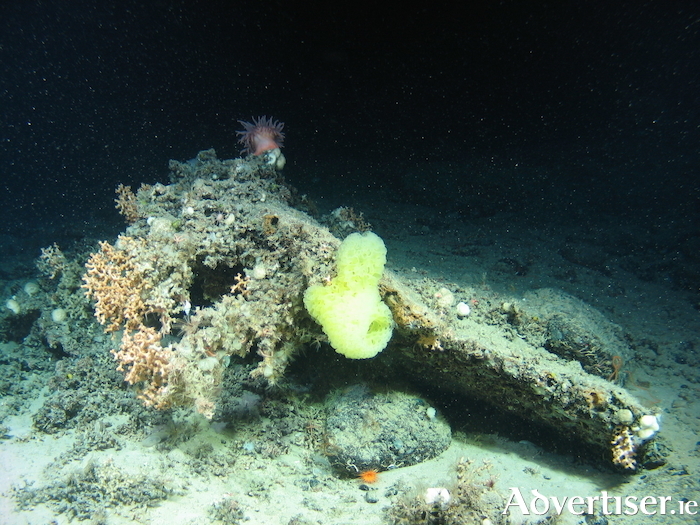 The team targeted the area surveyed because previous ROV dives in the area suggested there may be locations that were particularly sponge rich. Dr Joana Xavier, a researcher from CIIMAR (Portugal ) and the University of Bergen (Norway ), and Scientific Manager of the EU Horizon 2020 project SponGES, also joined the expedition, providing expertise in sponge taxonomy (identification ). Dr Xavier, whose previous experience includes expeditions across the Atlantic, concluded: "The diversity of sponges, and particularly of glass sponges, whose tissues have a skeleton made of silica, in Irish deep-sea waters, is absolutely incredible. Unusually large individuals, likely to be hundreds of years old, were also observed, attesting to the pristine condition of some sites. Other structural habitats such as cold-water coral reefs and gardens, also found during the cruise, help maintain the diversity in these areas." Page generated in 0.1537 seconds.